Every time something happens does not necessarily mean the markets are going to react. That is the sign that the cryptocurrency markets are indeed maturing. Today’s news that did not affect crypto prices whatsoever? Binance exchange trading and withdrawals were stopped. Well, not stopped per se. 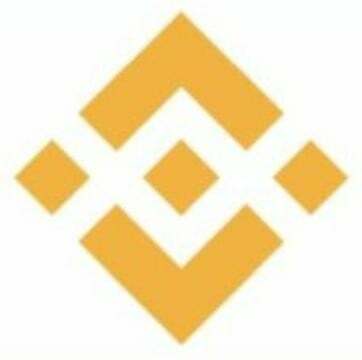 All Binance exchange trading was halted last night so that they could do maintenance on their servers. Around seventeen hours ago, Binance began system maintenance. They first noted on Twitter that “some users may experience a temporary decrease in exchange performance.” This was most likely because some people were starting to panic when their Binance exchange trading orders were slow getting fulfilled. An hour after that, another tweet went out that said they were extending the system upgrade down time. Another hour passed and then the Binance CEO tweeted out that there was a server issue on the replica database cluster which caused a data sync error. Crypto traders cringed. The tweet went on to say that no data was lost but that it would take hours to get everything synced up. Still no Binance exchange trading. Two hours later the CEO was back to say that it was going to take another 10 hours. This was an important update. It said that 30 minutes before Binance exchange trading would resume, everyone would have the opportunity to withdraw and orders they have made that weren’t fulfilled. CZ continued tweeting fairly regularly. The system update must have been a major issue that could not wait as there was little warning that Binance trading would be suspended. Then CZ tweeted that “We didn’t have a choice, other than trying to fix it as soon as possible for our users.” People were freaking out, including some of the Binance team according to CZ, “One of our team literally threw up after the calculation arrived at 10 hours.” That person and probably about ten thousand others. Seven hours ago, CZ noted that data sync was slowing down and there were a “few billion records to sync.” Two hours later, the Binance ZenDesk (support site) went down as well. That probably freaked a good deal of people out, even though Binance itself was live. That was when they said updates would be forthcoming every two hours. CZ shared an image that showed their DB Cluster did not do what it was supposed to do and that it was not a hack. Even mentioning that word would send people running for their roofs from which to jump off. Then the FUD started to fly. John McAfee, self proclaimed crypto visionary, tweeted an image that shows an alleged Binance message stating that one of the Binance exchange trading servers was attacked and compromised. Still, some outlets spread FUD in lieu of actual information. So, was Binance trading suspended because of a hack, or due to an error in some system maintenance? The debate rages on via Twitter. Others have posted obviously edited images and dubbed a celebrity deathmatch was on between Zhao Changpeng, CZ of Binance, and John McAfee, the guy with “zero crypto contributions.” If anything, the Binance exchange trading halt has made for an entertaining day. The last tweet from Zhao was just under an hour ago as was one from Binance itself. That one states that they are on track for trading to recommence at 4 am UTC 2018/02/09. That is 11pm Eastern, 8pm Pacific time. They again reiterated that there will be a 30-minute window prior to the restart of trading in which users can cancel open orders. Binance and their CEO have done everything necessary to assure their users that things will get back to normal as soon as possible. At present those with Binance accounts can log in and see their accounts. All balances, at least on my account, are in order and where they should be. Clicking on the Trade button simply gives a pop up that says “no Trading Market.” The current system message at the top of the site links to the last Twitter message. If you have some time and need a laugh, read the comments on that post. They range from flabbergasted to righteous indignation to people simply cracking wise. As far as the cryptocurrency markets are concerned, nothing at all is going on. The markets were mostly up all day. Bitcoin Cash still has a 22% gain, Binance Coin, their own crypto is down 4.29%. The majority of the top 100 cryptocurrencies by market capitalization are somewhere in between.